Albeit less common, men are not alone when it comes to suffering from pattern baldness. Women are also susceptible to this affliction, owing to life changing events and genetics. Stress is a predominant factor, whereas childbirth and genealogy are also key players, unfortunately. For this very reason, as with men, scalp micropigmentation is becoming an increasingly popular treatment for hair loss in female clients. It can make a considerable difference to a woman's life, regarding both general aesthetics and psychological wellbeing. However, it doesn't come without a serious dose of contemplation and research. It's clear that if you are already suffering from hair thinning, you'll not want to make matters worse by damaging your locks that are already in existence. Additionally, it's crucial to note that the general pattern in which women lose their hair is considerably different to that of their male counterparts. If you would like more information regarding scalp micropigmentation then call us today on 0845 625 0025 or you can send us a message by clicking here. Application of the pigment is carried out by parting sections of existing hair and then applying pigment accordingly. Skalptec technicians apply the shading in precise locations which penetrate into the skin, imitating the shorter hairs already in existence, hiding the baldness. 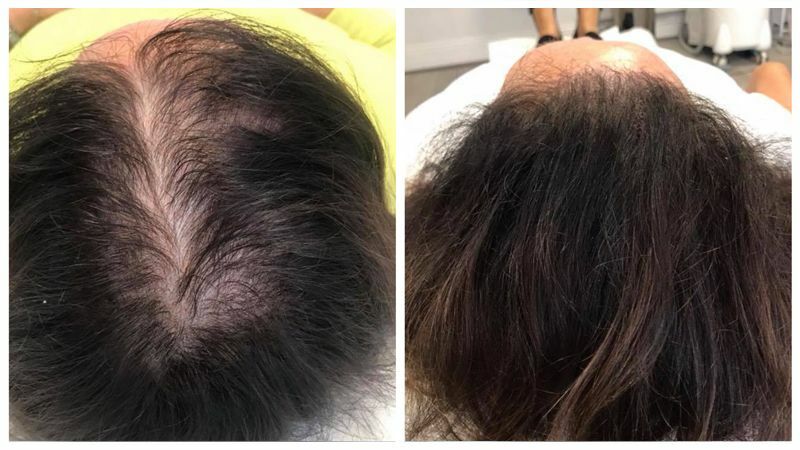 Initially, the main factor that anyone needs to understand concerning baldness of men and women is that the pattern pertaining to the thinning is not the same. When men lose their hair, it typically begins at the very front of the hairline and on the crown. Female pattern baldness tends to be more general, however, it's often prevalent along the crown and their natural parting will also widen. It's rare that she will forgo her actual frontal hairline and it's highly unlikely that she will become completely bald. For these very reasons, the process of scalp micropigmentation is very different for men as it is for women. The idea concerning the process with men will be to mimic the hair follicles on their shaven heads. For women, it's a question of concealing the discrepancies by shading in the areas which are noticeably thinning giving the appearance of a fuller head of hair. Using a reputable technician for the work in hand is imperative. 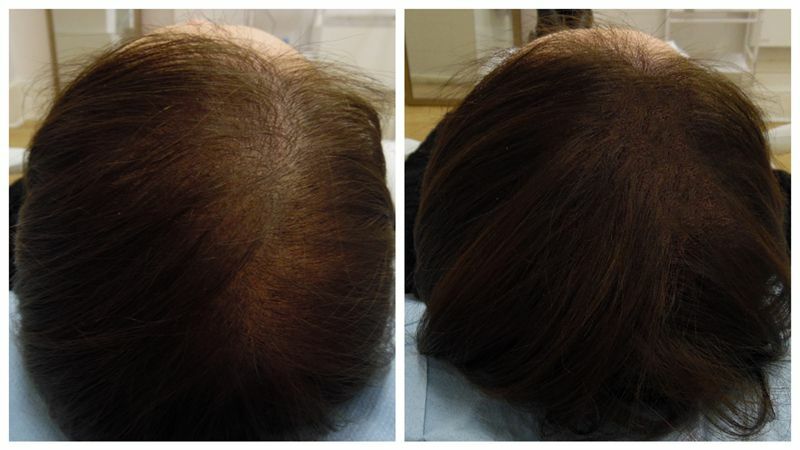 The entire approach concerning scalp micropigmentation for women is clearly different to that of men. When is scalp micropigmentation the best solution? Scalp micropigmentation is not actual hair. It's a method that is used to camouflage bald patches or general thinning. However, each case of thinning will need to be assessed by your Skalptec technician to establish suitability. Additionally, it's crucial to note that it's a process that is decidedly more successful on brunettes and redheads than with blonde haired women.